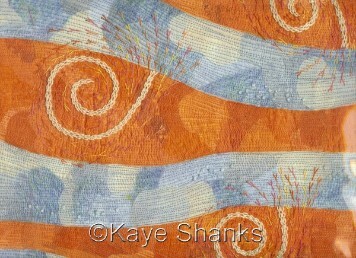 Kaye Shanks is a textile artist in Melbourne, Australia working in a variety of techniques . I make art quilts, jewellery, embroider with hand and machine, doodle, art journal and dye fabric. I am available for workshops, classes and commissions. Occasionally I exhibit.